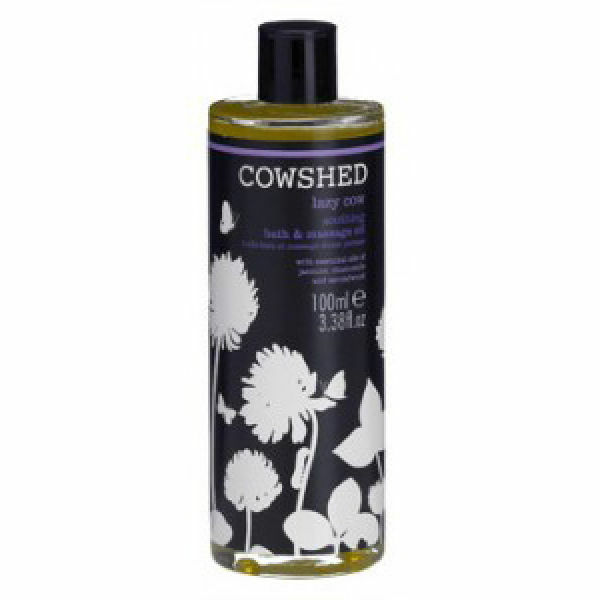 Lazy Cow Soothing Bath & Massage Oil is a woody, oriental blend with essential oils of jasmine to help you deeply relax, Chamomile to calm, and Sandalwood to aid contemplation. Leaves you feeling warm and peaceful. 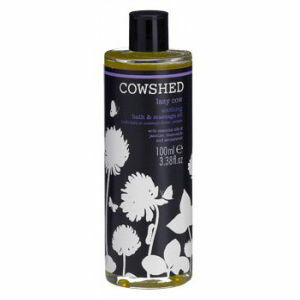 The minerals, vitamins and proteins of almond oil naturally nourish the skin while Calendula (marigold) rejuvenates. vitis vinifera (grapeseed) oil, prunus amygdalus dulcis (sweet almond) oil, glycine soja (soya) oil, sesamum indicum (sesame) oil, calendula officinalis (calendula) flower oil, ***cannabis sativa (hemp) seed oil, vaccinium macrocarpan (cranberry) seed oil, *santalum album (sandalwood), *lavandula angustifolia (***lavender), styrax benzoin (benzoin resinoid), *boswellia carteri (frankincense), *jasminum grandiflorum (jasmine), *cananga odorata (ylang ylang), *citrus aurantium (neroli), *rosa centifolia (rose absolute), *salvia sclarea (clary sage), *anthemis nobilis (chamomile). **linalool, **geraniol, **limonene, **benzyl cinnamate, **benzyl benzoate, **eugenol, **benzyl alcohol, **farnesol, **citronellol, **citral.